At TNW, we often need to send photos and video to our colleagues for our stories. While Slack is an effective tool if we want to send across a screenshot or two, it’s better to use a filesharing service. Now, the first one that comes to the mind is WeTransfer, but you’ll have to pay if you want to send files larger than 2GB. 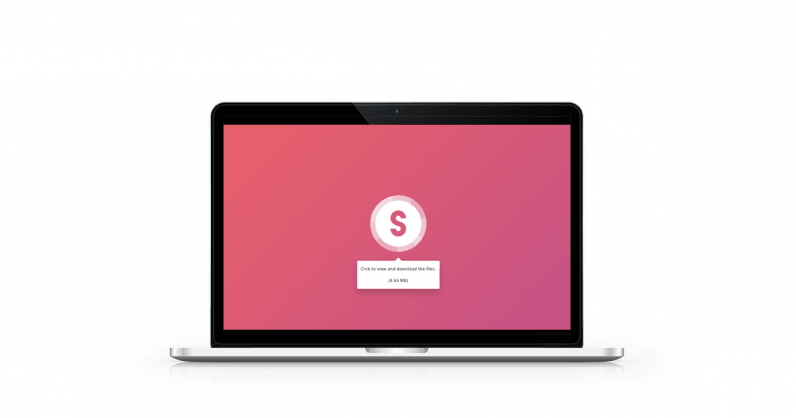 A service called Smash solves that problem by offering file transfers with no size limit. For free. However, for files that are bigger than 2GB, processing at server end is slow for the free tier. For faster processing speeds, you’d have to subscribe to the premium tier that also offers to keep your link for up to 365 days, and lets you see your transfer history and reports for $10 a month. While we succesfully uploaded a 33GB file, the makers say that they’ve handled a 350GB file. Smash also offers a couple of additional benefits that you can only get with WeTransfer’s premium subscription, such as: protecting your file with a password, modifying link URL, and defining a link’s expiry date. Plus, before you download from a link, you can see previews of files and choose to download a handful, instead of them all. The site’s interface is simple too. You can just drag and drop links on Smash’s logo to start the transfer. Also, while waiting for your files to download, the site shows you different artwork – both of which are popular parts of WeTransfer. While WeTranfer has an upper hand with apps for Slack, Chrome, Mac, and Firefox, Smash’s no file limit and free customizations could make it a vital tool in your online arsenal. Learn more about Smash here.